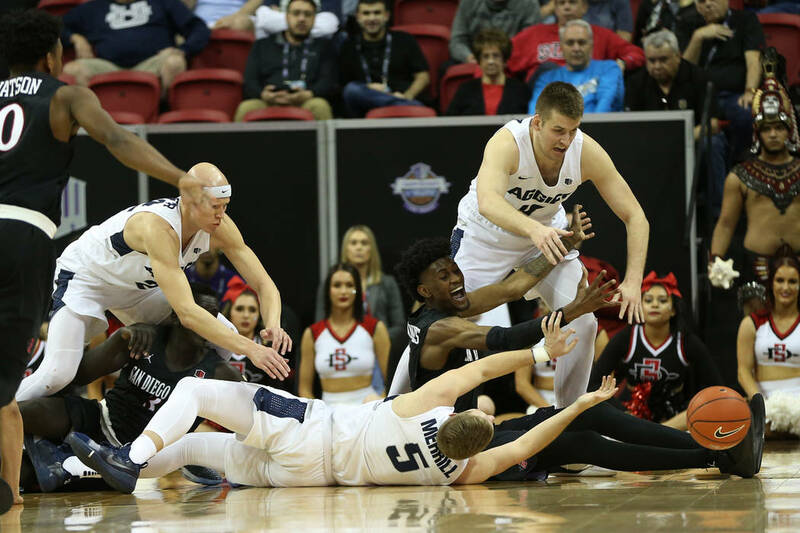 Utah State won its first league tournament title Saturday by defeating San Diego State 64-57 at the Thomas & Mack Center to clinch an automatic NCAA Tournament berth. 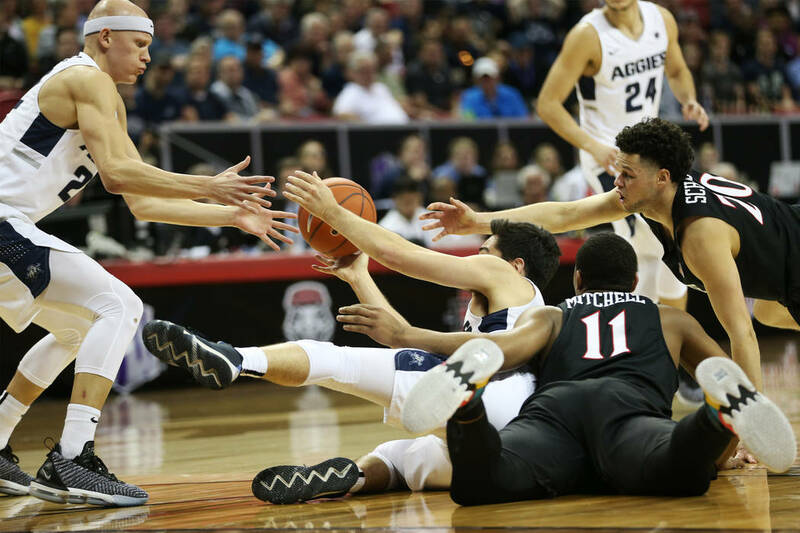 The journey began Jan. 2 with a slate of five conference games, and yet the previous three months had painted a pretty obvious narrative: Mountain West basketball had every chance to be its worst in history this season. League play didn’t alter such a belief, as most of the 11 teams played their flawed roles to perfection. Utah State and UNR just chose not to join in. 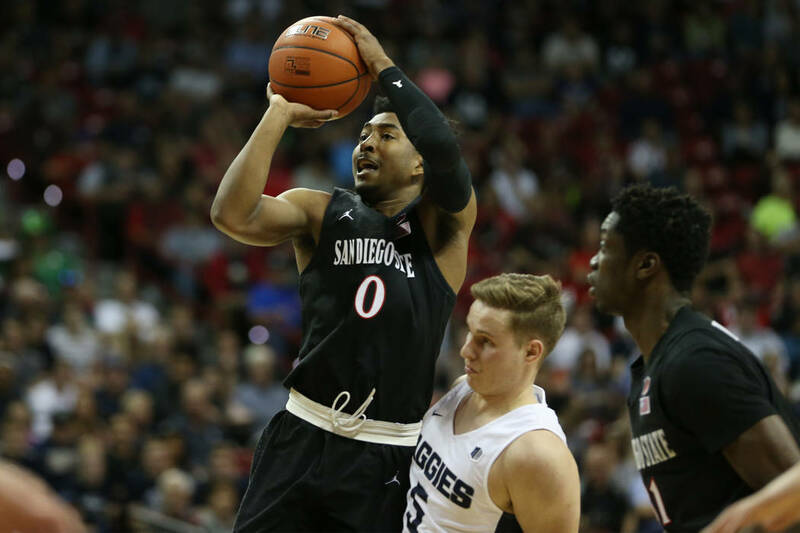 The nation’s 12th-ranked conference, behind the Ivy League and just ahead of Conference USA, will send two teams to the NCAA Tournament when the bracket is announced Sunday. 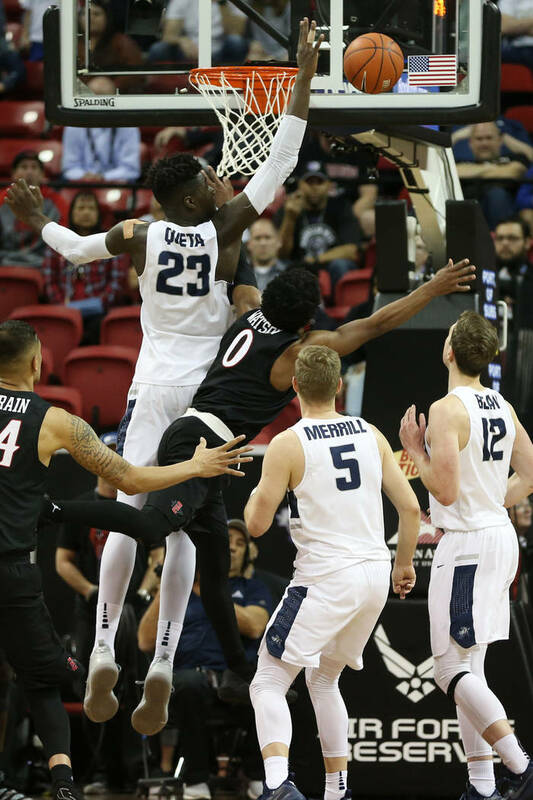 Utah State won its first Mountain West Tournament title Saturday by defeating San Diego State 64-57 before an announced gathering of 8,969 at the Thomas & Mack Center to clinch the conference’s automatic NCAA berth. 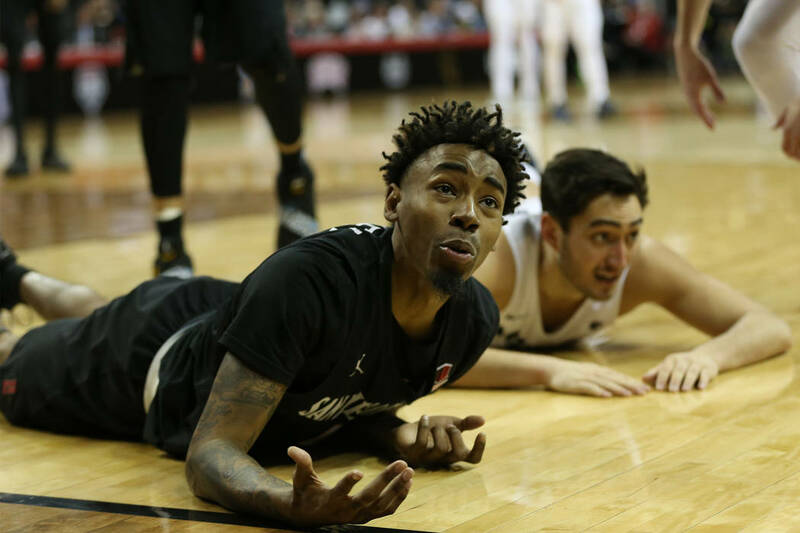 I’m not sure the league would have received a third bid had San Diego State won — as good as the Aggies have been in winning 17 of 18, theirs is a resume that would be seriously evaluated for good wins based on a selection committee’s criteria. Utah State has three Quadrant 1 wins and two in Quadrant 2. Translation: It’s pr0bably a good thing it won Saturday. Think about it. The Mountain West also rates just three spots ahead of the Western Athletic Conference, which means, geography aside when considering all the league tournaments in Las Vegas these past two weeks, the Thomas & Mack is a whole lot closer to Orleans Arena than to T-Mobile in terms of basketball quality. And you know how down the Pac-12 is. 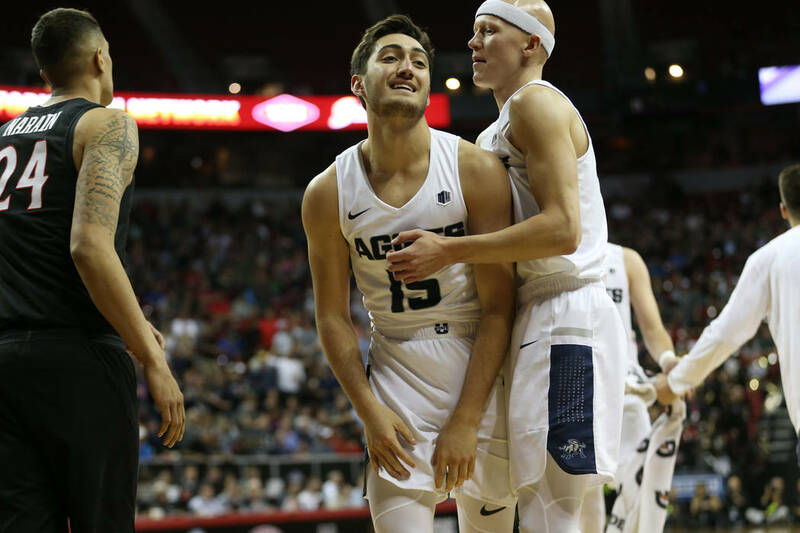 Craig Smith was a deserving choice for Mountain West Coach of the Year, and his is a Utah State team that can absolutely win games in the NCAAs. They have a terrific guard in junior Sam Merrill. They have a monster of a big man in freshman Neemias Queta. They make shots. They’re every bit as impressive as 28-6 suggests. They haven’t lost consecutive games all season, which in a league with the travel difficulties of a Mountain West, is astoundingly good. 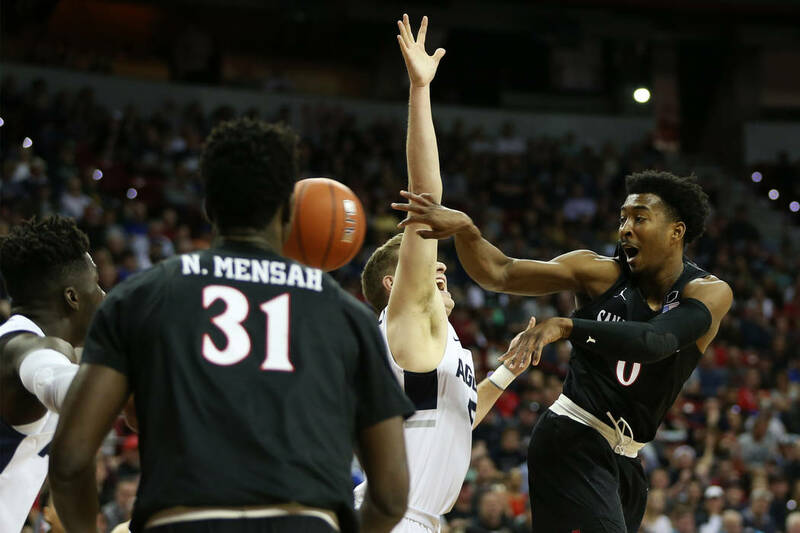 “The two best teams all year have been Nevada and us, certainly,” Smith said. “And so you always want more. You get in the (NCAAs), and we want nothing more than to represent the Mountain West in a first-class fashion and the right way, and obviously Utah State that way. We will be pulling for Nevada like crazy, and I would assume they would be pulling for us. 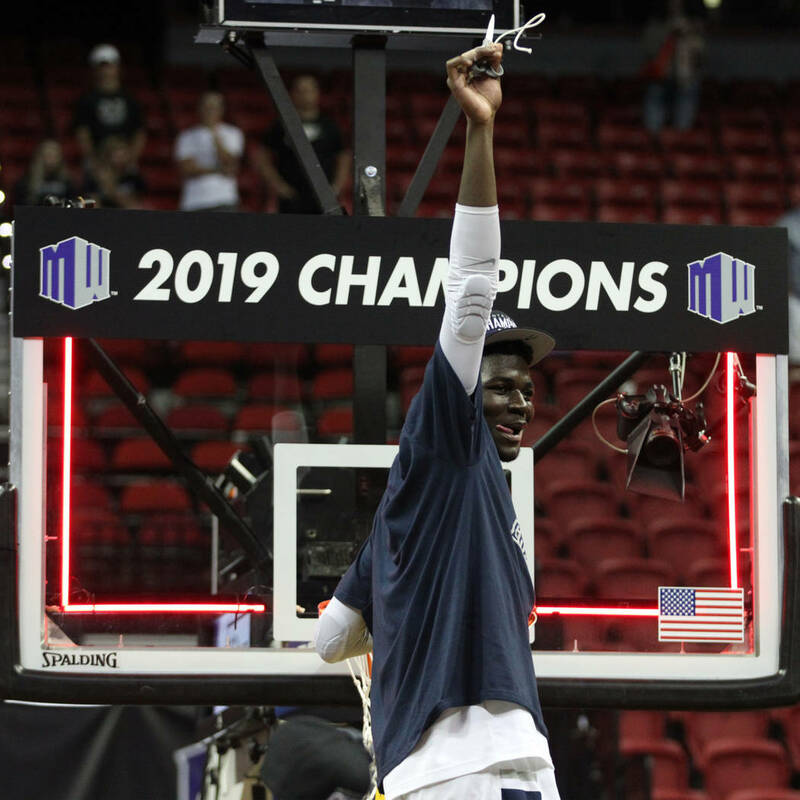 Consider: The conference had three top 100 teams this season — Utah State, UNR and Fresno State. The league’s metrics were at an all-time low, and as fewer and fewer midmajor programs are able to make a dent across the national landscape, the idea things will suddenly turn isn’t all that plausible. 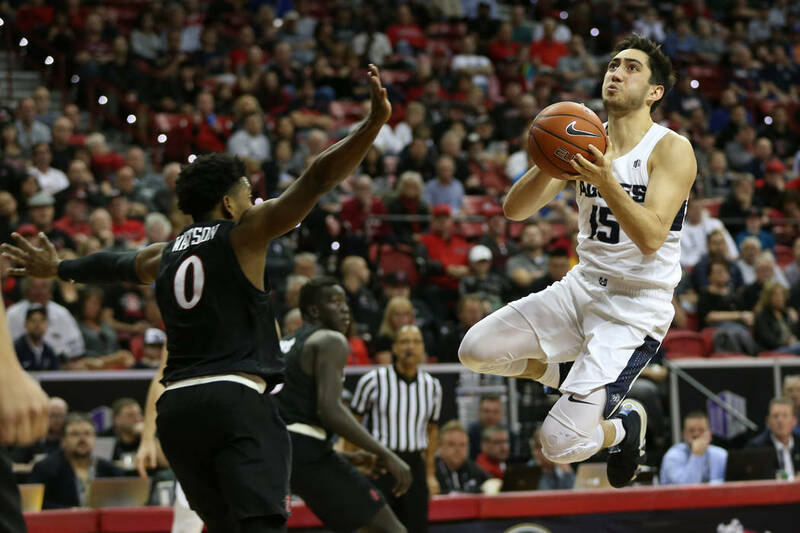 You take each year as it comes and never know what an offseason might bring in terms of forming rosters, but based on projections for next season, you would think UNR and Fresno State could take a step back. Utah State, should it return its nonseniors (beginning with Queta), probably would be picked to win the conference, but playing as a side tabbed ninth this season and instead finishing tied for first at 15-3 is a lot different from getting everyone’s best shot as a preseason favorite. New Mexico might be better, or not. Air Force should be. So there is that. “Hopefully, we can make some noise in the (NCAAs),” Smith said. They’re good enough. So is UNR when totally healthy. 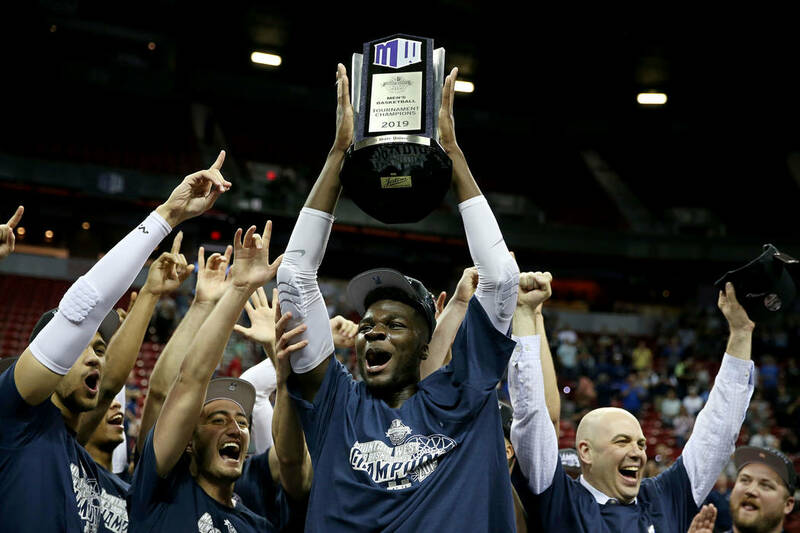 The Mountain West got exactly what it deserved this season in two teams earning bids. Given how bad the league was, that’s cause for celebration across 11 schools. Contact columnist Ed Graney at egraney@reviewjournal.com or 702-383-4618. He can be heard on “The Press Box,” ESPN Radio 100.9 FM and 1100 AM, from 7 a.m. to 10 a.m. Monday through Friday. Follow @edgraney on Twitter.